How to get started with Even Rogue in the new Rastakhan meta. 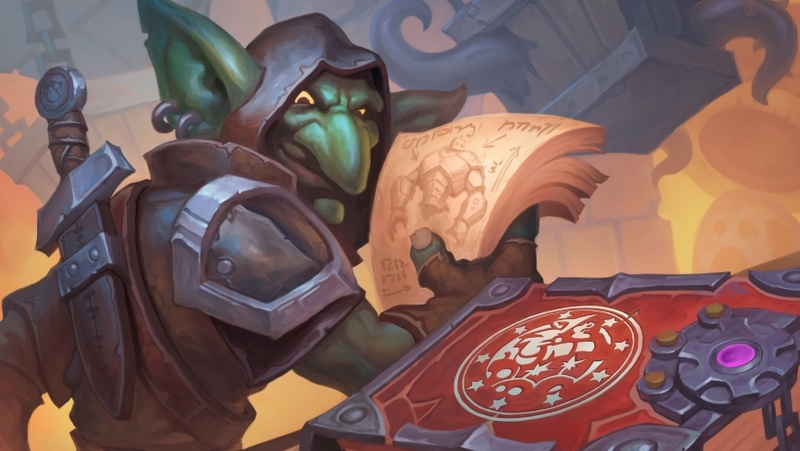 Our Even Rogue deck list guide features the best Rastakhan deck list for Season 60 of Hearthstone (March 2019). Our Even Rogue guide also contains Mulligan advice, card combos and strategy tips. Even Rogue is a Hearthstone deck that hasn't seen a lot of play since the format potential was introduced with the launch of The Witchwood expansion back in April - it was hard to justify, after all, given the power of its Odd counterpart. It looks as though that may be changing in the wake of the second Rastakhan balance patch, however. A handful of cards look like they could be just the thing to put Even Rogue in the mix, but as with all experimental decks we'll have to wait and see how it all works out in the coming weeks. In this article though, we're highlighting a deck list that will help you acclimatise to the playstyle ahead of launch. Don't expect a zippy climb up the ladder here, but to help you out we've also broken down the card combos that power the deck, so you have an idea of how to pilot Even Rogue. There are a few different version of Even Rogue seeing play right now, but none of them have quite convinced us that we need to change our recommended version. This deck will only be in play for a few more weeks at this point (and it's very off-meta), so we're content to leave things as they are for the rest of March. Here's the strongest version of Even Rogue that's being played in the current meta. If this one remains competitive we'll have another update for you at the start of the next season. 1. Sharkfin Fan: A nice early presence on the board with the potential to generate even more fuel for your opening offensive. 2. Bloodsail Raider: A solid starting minion that can be empowered further by your hero power weapon if applied on Turn 1. 3. Knife Juggler: As you'll be hoping to field many minions early on, this character can help you ping some extra damage around the board. 4. Toxicologist: Not only board presence, but also a way of empowering the dagger you've equipped in the early game. 5. Backstab: Great early-game removal that will help protect your side of the board, and keep that steady pressure on the opponent's health pool. That's the deck list, then, but how do these cards actually come together? In this section we've got a tear down of all the combos and card synergies that exist in this exact version of Even Rogue. When the deck list changes over time we'll make sure this part of our Even Rogue guide is updated too. - Bloodsail Raider gains the strength of your weapon as bonus Attack damage when played. If you can top your weapon up with Toxicologist first, then all the better. - Try to play another card first before Elven Minstrel, as the extra draw provided by this character represents incredible value. The same advice goes for Cold Blood and Eviscerate, which both become more powerful as a secondary play. - Once Knife Juggler is out on the board he'll fling a point of damage at a random enemy target each time you drop another minion onto the board. - Whenever you attack with your dagger while Sharkfin Fan is in play, a 1 / 1 Pirate will be summoned onto the board. - Toxicologist increases the strength of your hero power blade by one point when played. This has further synergy with cards like Bloodsail Raider. - Captain Hooktusk will summon three Pirates remaining in your deck when played and give them the Rush ability. That means they can attack other minions - but not the opponent - the same turn they appear on the board.